Does the Niro EV come with a spare tire? Or is it like many other electric vehicles I've learned about from forums that they don't have a spare tire, only a can of tire-flat goo stuff?? RE:Does the Niro EV come with a spare tire? No it does not come with a spare tire, sorry. Same as all the other SUVs, they shave weight to increase the range. 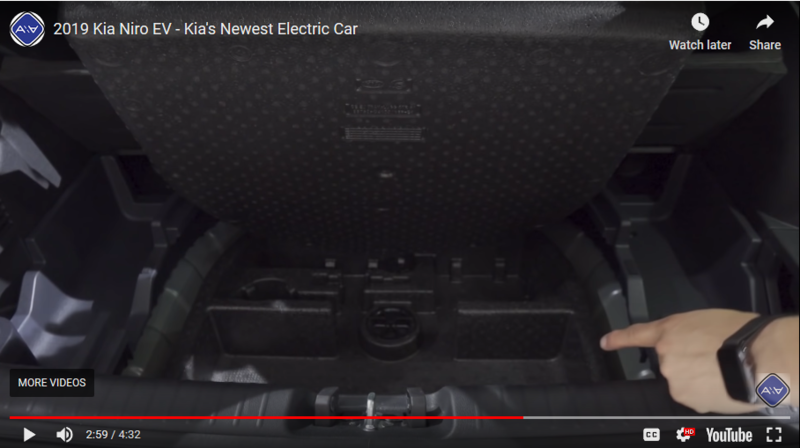 Re: Does the Niro EV come with a spare tire? Looks like Kia kept the retaining bolt for the spare tire, so you could buy one from Kia. Thank-you! This is the information I was looking for. I will talk to my dealer and start researching other tires from older KIA models.